Design guidelines should require or promote building, development, and site design techniques that promote protection, resiliency, and adaptation to sea level rise, including requirements for flood-proof building materials, low-impact development (LID), better site design (BSD), natural infrastructure & open space preservation. Better site design and low-impact development conserve open space & prioritize on-site stormwater management, which can help promote resiliency in areas vulnerable to increased storm surge. Environmental site design (ESD) techniques that minimize impervious surfaces and protect and restore natural infrastructure can direct development away from floodplains and areas vulnerable to flooding and storm surge. Stafford County, Virginia was an early adopter of LID techniques. The County partnered with the Friends of the Rappahannock, who oversaw a number of educational projects to inform local staff on LID implementation. In the early 2000’s, the County amended both its Subdivision Ordinance & the Stormwater Code. Barriers to implementation in the ordinance language were removed, the national LID manual was adopted, Stafford’s ordinance for technical guidance & incentives were established to support the use of LID over conventional stormwater management. In 2004, Stafford County required the use of LID on new development projects to the maximum extent practicable. Washington, D.C. uses a Green Area Ratio to set standards for the environmental site design for new and redevelopment projects. Green Ratio requirements range from 0.1 to 0.4 landscape elements to land area, depending on zoning districts. Qualified landscape elements include bioretention facilities, tree canopy preservation, permeable paving, and vegetated walls/roofs, among others. "Within… the “Volume Control Area” for new development and redevelopment, the first one-half inch of runoff from all new impervious surfaces shall be removed from the runoff flow… A 1-year 24 hour extended detention may be used to satisfy up to 70% of this volume. The remaining 30% shall be removed from runoff flow. At least 50% of the parking lot surface shall drain to a filtration practice." "It is the policy of the county to maintain the rural character of the county throughout the development process. As such, the natural terrain and features of the land, including heritage, memorial, significant and specimen trees, natural watercourses and other water areas, historic and archaeological sites, scenic areas and other features and resources worthy of preservation located within the area encompassed by any proposed subdivision of property in the county shall be preserved and protected during the development process to the extent possible while enabling reasonable development of property. In this regard, no more land disturbance than absolutely necessary to accommodate reasonable development shall occur and extensive cut and fill of the natural topography shall not be allowed." FEMA Hazard Mitigation Assistance (HMA) Programs: new ‘Climate Resilient Mitigation Activities’ eligible for funding Green Infrastructure Methods. See Wetlands Watch primer for examples & info. 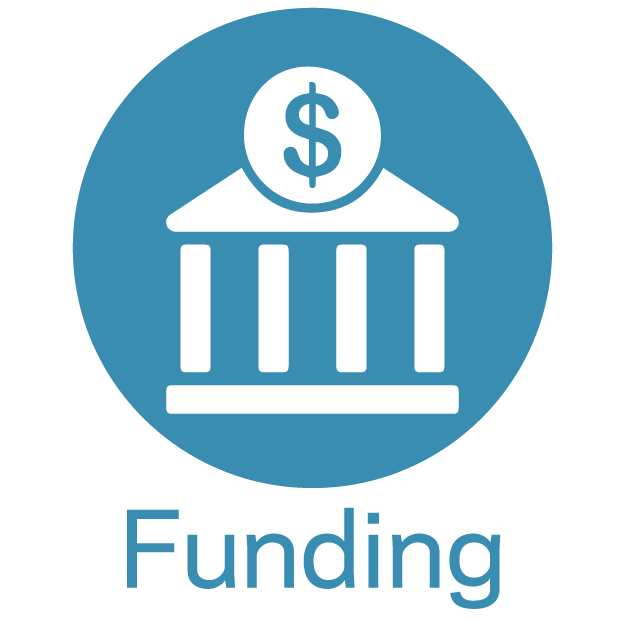 HUD Community Development Block Grant Program: incorporate GI into projects. James City County conducted a multi-stakeholder assessment of code and policy barriers to implementing Better Site Design. The County then adopted many of the Better Site Design recommendations through code and policy revisions. Credit-generation (MS4/TMDL/CRS) is one of the biggest drivers motivating localities. As such, local design guidelines should encourage strategies that achieve multiple benefits, like open space conservation. Urban tree planting and reforestation are creditable BMPs for the Chesapeake Bay TMDL. Reforestation of open space that improves natural floodplain functions provides additional CRS credits; Urban trees can improve community character, improve building energy efficiency, support habitat, and reduce heat island effects. In its current zoning rewrite, Norfolk is including provisions to protect specimen trees on private property & considering further protection of street trees on private property. Reducing or limiting new impervious surfaces is a fundamental way of mitigating floodwaters, reducing downstream erosion and protecting water quality. Promote use of ESD techniques and practices for new development and redevelopment for stormwater planning in accordance with the Virginia Stormwater Management Program and the Virginia Runoff Reduction Method to minimize new impervious surfaces and protect floodplains. Building codes can be used to limit a building’s footprint and site disturbance. To reduce transportation-related impervious surfaces, localities can encourage green streets or the use of BSD techniques such as shared parking agreements incentivized by reduced parking requirements. Localities have also reduced parking requirements if mass transit options are nearby. Better Site Design recommends < 4.5 spaces per 1,000 ft. of GFA. Development standards should preserve and enhance the urban tree canopy, which has a litany of multiple benefits (stormwater, aesthetic, property value, etc.). Localities should create guidelines for planting, sizing tree wells, maintenance, replacement of aging/dying trees & engaging landowners about the benefits of maintaining the canopy on private land. Ex. Fairfax County Code has stringent tree canopy requirements for new development, canopy health standards, & incentivizes tree preservation. Ex. San Antonio, Tx: Green Shade rebate program provides property owners a $50 rebate on energy bills for tree planting. Design standards are an important component of adaptation efforts, but they are reliant on the strength of related programs & policies to be effective. Flood-resistant building materials & freeboard requirements are not sufficient to overcome siting development without consideration for sea level rise or coastal erosion. Ex. Woodstock, NY - Flood-Fringe Overlay District: The FF-O District may include other lands which experience periodic flooding. Maintain/enhance the tree canopy by creating an ordinance that includes priority areas for reforestation, canopy retention, standards for development, maintenance & guidelines for replanting. Ex. Chesapeake Code of Ordinances Sec 19-416: The planning director may approve preliminary site plans, which provide for the preservation of mature trees existing on the site in exchange for a reduction in the number of parking spaces required under this ordinance or a reduction in required parking area setbacks. Incorporate Better Site Design standards into the ordinances. Ex. James City County Code Sec. 24-551. - Open space development design elements. Use elevation-based design standards (e.g. establish a list of feasible stormwater practices according to ground elevation and proximity to floodplains and shorelines). See Freeboard Requirements for examples of elevation requirements outside the flood zone. For more information on conserving open space in new development, see Resilient Zoning. ESD and LID (runoff reduction) practices are often necessary to meet water quality and quantity design standards using the Runoff Reduction Methodology to comply with VSMP regulations for new development and redevelopment. 25 CRS points can be gained if local stormwater and development ordinances require the use of LID techniques in new development. Credited regulations include ordinances that require mitigation of runoff using LID techniques, ordinances that require the use of ‘soft’ techniques, regulations that require LID practices for new or redevelopment, etc. Document areas (through the stormwater or watershed master plan) where use of ESD and nonstructural BMPs (LID practices) apply for new construction and redevelopment as well as for retrofits through MS4 or Chesapeake Bay TMDL Action Plans. The City uses Waterfront Transportation Architecture Design Guidelines (including 17 LID options), a Great Streets Framework Plan, Stormwater Management Regulations (require the first 1/2 inch of stormwater runoff to be treated), and the City's Environmental Standards to implement a series of green street goals. Localities can establish urban development areas for high intensity growth, which must incorporate principles of traditional neighborhood design. Code of Virginia § 15.2-2286.1. Any locality with a population growth of 10% or more shall provide in its zoning or subdivision ordinances...standards, conditions, and criteria for the clustering of single-family dwellings and the preservation of open space developments. ASFPM (2016) “Case Study: Stafford County, Virginia Low Impact Development Ordinance.” ASFPM NAI in the Coastal Zone Case Study. Association of State Floodplain Managers, n.d. Web. 19 July 2016.